Come on in! Your table is ready. — 21 North Come on in, Your Table is Ready! Come on in! Your table is ready. We can't wait to have you dine in with us! 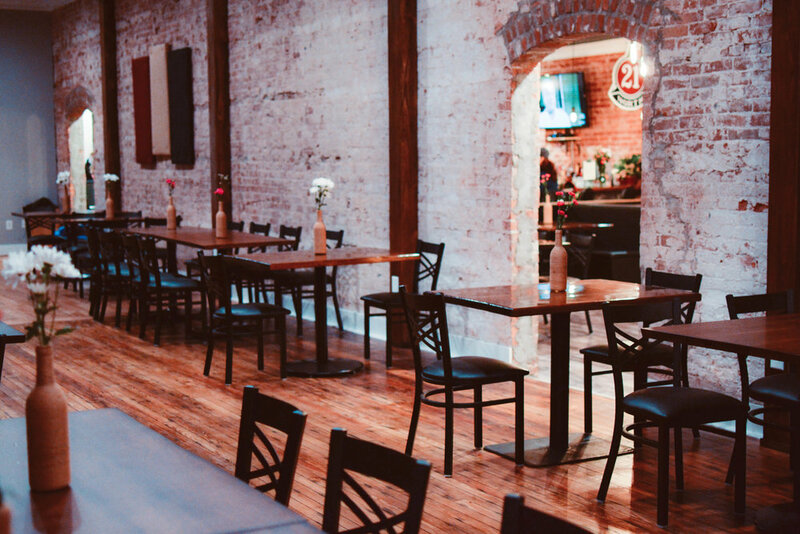 Opened October 23, 2017, we have created a Chef inspired menu in a Rustic-Modern space where Destination Dining is underway.in the downtown district of Martinsville, Indiana. Our vision continues to expand including the addition for outdoor dining on our new Patio (weather permitting). Be sure to check out our daily Chef specials and look for new items monthly. Great Cocktails, Wine and Beers - check out our online menu.. Follow us on Instagram and Facebook for the latest specials and updates!